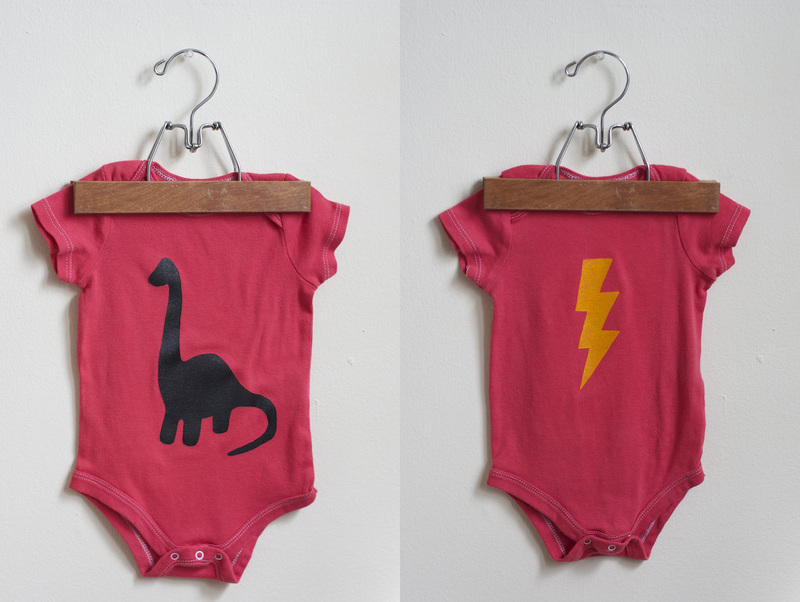 Check out these super cute hand-dyed and -stenciled onesies that we’ve added to our Etsy shop. These onesies are 100% cotton and the paint is on the outside of the fabric only so it won’t irritate baby’s skin. They are perfect for a boy or a girl in a gender neutral strawberry red color. (You know we’re just trying to help you out with hand-me-down’s here!) These are size 12 months, but we can make them in any size you request.